This is truly a rarity, an empty Grand Staircase. This is a shot we can normally only get early in the morning or late in the afternoon. 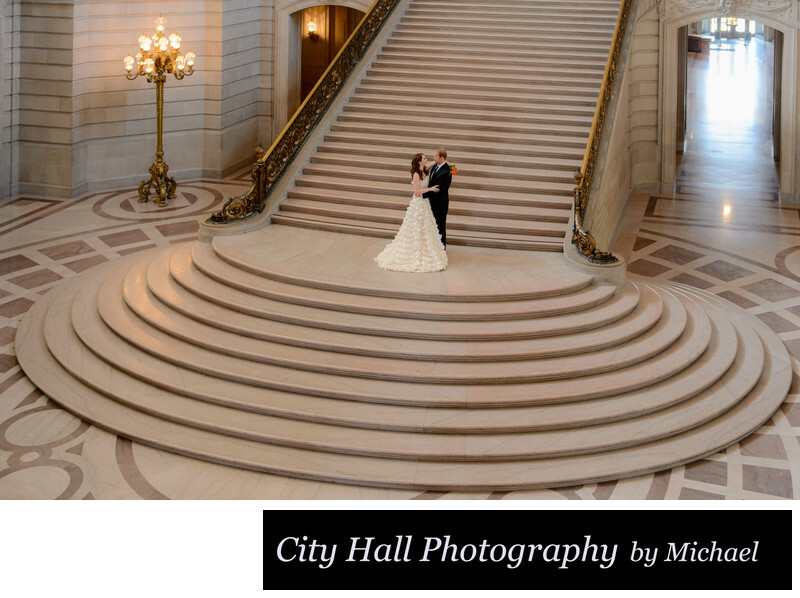 People tend to clear out of city hall at those times making the staircase a little more accessible. We were lucky in the particular case, with only a few moments to get our shot. That is how it normally works, you keep your eye on the staircase and when it clears for a few moments, you rush over to get some shots. If 1 or 2 stragglers come along, we politely ask them to wait just a quick moment so we can capture our image. Sometimes it works and sometimes it doesn't but we always try hard to get this iconic shot.